Indonesia is one of the largest countries in the world, spanning a huge archipelago of islands from Sumatra in the Indian Ocean to Irian Jaya just north of Australia. It is estimated that there are more than 17,000 islands in this archipelago. Many of these islands were coveted by European explorers for their rare spices, and were eventually colonised by the Dutch until 1949, when Indonesia officially became independent. As one would expect from such a geographically large country, Indonesia is ethnically and culturally diverse, consisting of more than 700 distinct languages and dialects. Indeed, the Indonesian national slogan ‘Bhinneka Tunggal Ika’ translates literally into ‘Many, but one’. The capital, Jakarta, is located on the western tip of Java, a long horizontal island located close to the middle of this archipelago. Another famous city in Indonesia is the tourist hotspot, Bali, which is located at the eastern end of Java. 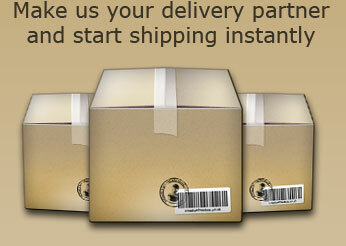 If you are looking to ship a consignment to Indonesia, we offer the most competitive prices on the market. We understand that punctuality and reliability are important to you. That is why we use some of the best international parcel forwarders to ensure that your parcel gets to Indonesia quickly and securely. We have low cost options as well as express services to suit whatever your needs might be. Find out more about Indonesia by clicking here: http://www.indonesia.travel/.